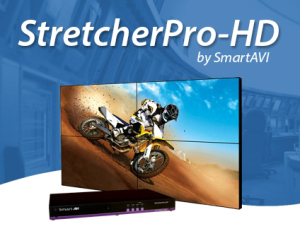 To display the latest Blu-ray DVDs, watch live televised events in HD, and show personalized video content,the new StretcherPro-HD video wall controller delivers incredible picture quality over four screens. This user-friendly device delivers a top-quality video wall solution for a surprisingly affordable price. The StretcherPro-HD is easy to implement, and requires no need for computers, software or any prior experience with video walls. With four supported screen configurations, users can select the ideal display mode for their needs. Display options include Wall Mode (2×2), Dual Horizontal (2×1 pair), Dual Vertical (1×2 pair) and Clone Mode (four screens each displaying the entire image). Categories: hdmi, Uncategorized, video wall, video wall hardware | Tags: hdmi, video wall, video wall hardware | Permalink. 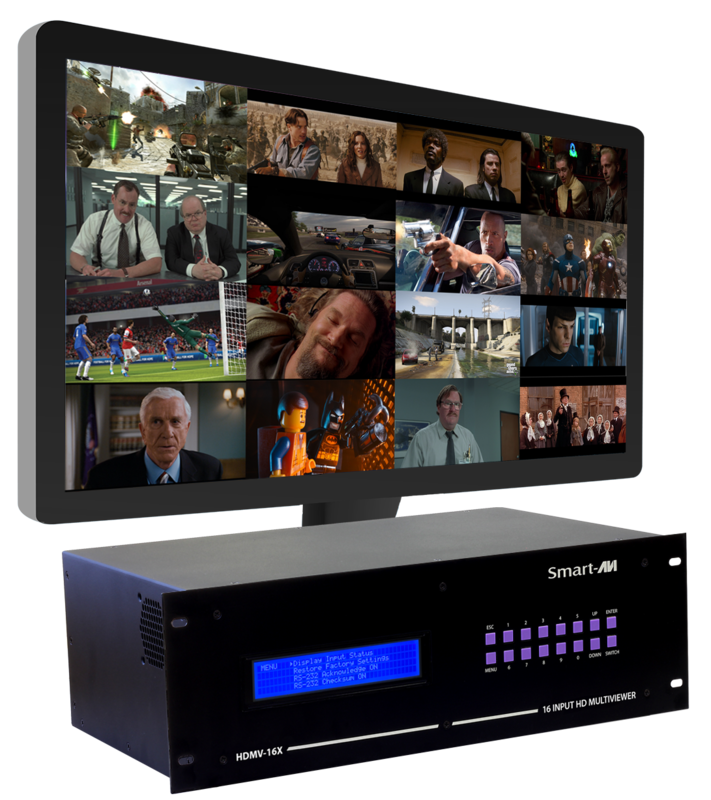 For a full high definition multiviewing system that incorporates the latest in HD video, the newly expanded line of HDMV multiviewers from SmartAVI delivers 9 or 16 HDMI inputs with crystal clear video. The HDMV-16X allows users to view all 16 inputs at once, or choose to view one, two or four inputs at once. The HDMV-9X offers the same functionality but with nine inputs. Switching between the inputs is simple with front panel buttons, RS-232 commands, Ethernet control and the user-friendly On Screen Display. With a wide variety of viewing options, systems architects and end users can create the ideal multiviewing scenario, whether it’s in a production studio, security centers, air traffic control rooms and a host of other venues. Categories: hdmi, Multiviewer | Tags: hdmi, multiviewer | Permalink. 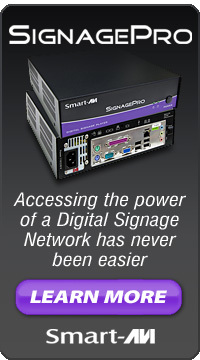 At SmartAVI, we’re continually improving and expanding our line of high-quality video matrix switches. We’re proud to announce our newest matrixes that deliver the ultimate in HDMI and DVI-D extension, giving our users more flexibility than ever. The MXCore-UH and the MXCore-UD use HDBaseT technology to route HDMI and DVI-D video signals hundreds of extra feet. Expandable up to configurations of 32×32, these new matrixes deliver the utmost in video quality while giving users the additional routing distance they need. And with the optional IR-Blaster, users can control switching functions on the matrix remotely. With all of these fantastic features, end users and systems architects can create the ideal set up for nearly any video routing and switching needs. 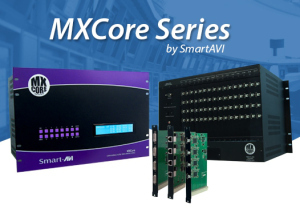 Visit our site now to learn more about the MXCore-UH HDMI Video Matrix and the MXCore-UD DVI-D Video Matrix! 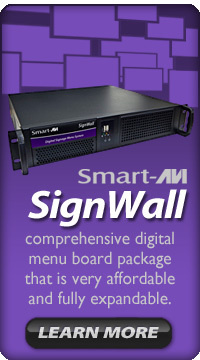 Contact us info@smartavi.com or 818-503-6200. Categories: dvi over cat5, dvi switch, dvi-d, hdmi, hdmi extender, hdmi matrix, hdmi switch, Uncategorized, video switch | Tags: digital signage, dvi over cat5, dvi switch, dvi-d, hdmi, hdmi extender, hdmi matrix, hdmi switch, ir, rs232 | Permalink. When you’re looking to boost sales at your restaurant, you have lots of options. Raising awareness with advertising and marketing to get new customers is always great goal, but you should also consider if you’re maximizing sales from the customers you already bring in the door. Most restaurants, especially smaller operations, have a difficult time increasing their average per-ticket revenue, but we’ve got a great solution! Informing your customers about special items, including daily or time-based specials like lunch or happy hour, is a great way to please eaters and get them to try new dishes. Making those specials look appealing is critical to boosting sales, and nothing accomplishes that quite like a digital menu board! 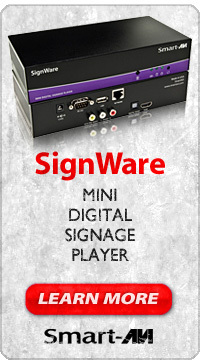 Categories: digital menu, digital signage, digital signage hardware, hdmi, Uncategorized | Tags: digital menu, digital signage, hdmi | Permalink.